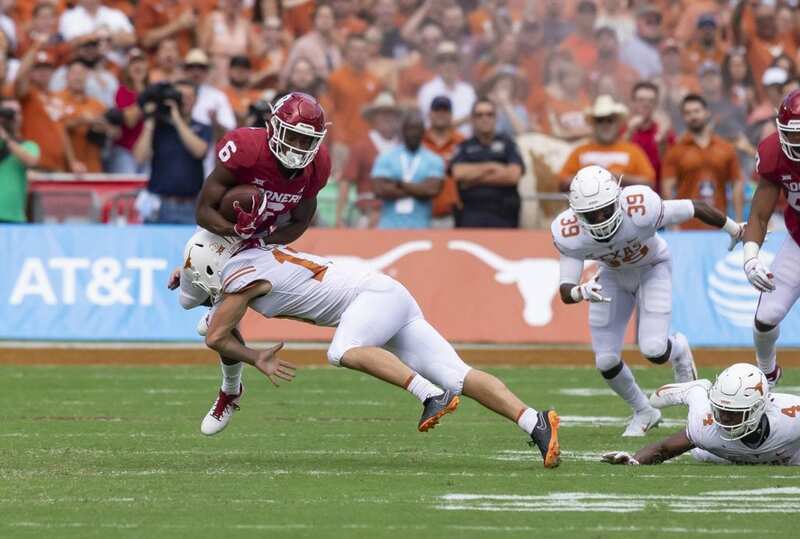 Texas got it done in all aspects of the game to topple Oklahoma, including kicker Cameron Dicker making a strong tackle on Oklahoma's Tre Brown Saturday (Photo by Don Bender/Horns Illustrated). Kickers making tackles, receivers throwing touchdown passes, and a quarterback setting historical records up there with Longhorn Legends, Texas beating OU 48-45 had it all. See inside the game from the sidelines in our subscriber-only exclusive gallery below, or sign up to become a Horns Illustrated Insider to see the full gallery and more today.